3 DAYS of COMPLIMENTARY BREAKFAST for 2 poeple. Meet us at the Brussels Holiday Fair ! 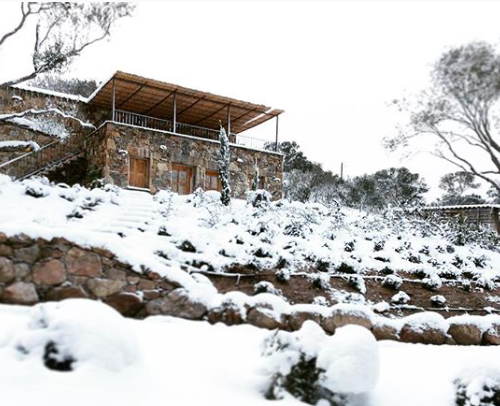 When it is grey and cold outside, it is time to bring the sun back, to think about unwinding and enjoying the Corsican way of life … Start planning your next stay and meet us at the Brussels holiday fair from February 7th to 10th. 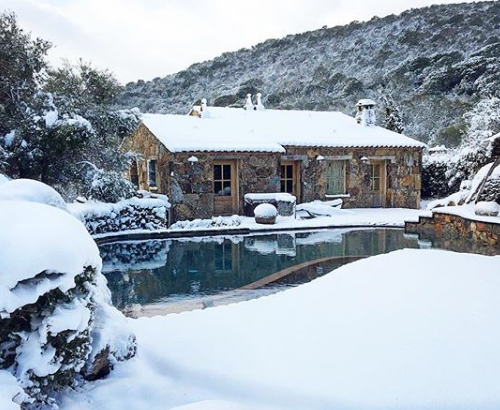 Christmas in Corsica – L’ochju . . . 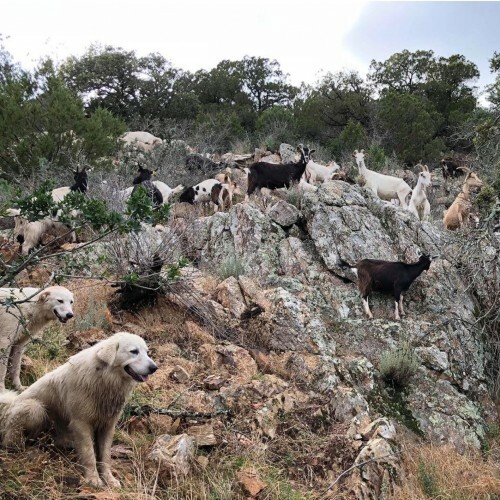 In addition of being good eaters, Corsican are superstitious, traditions and rituals are numerous as December 24th approaches. The best known of all, and probably one of the most important as well, is “the ochju”, means “evil eye” or bad luck… Few of us have the power to ward off this spell. Indeed the ritual is learned only on Christmas’ eve and is passed from generation to generation, traditionally from grandmother to granddaughter. 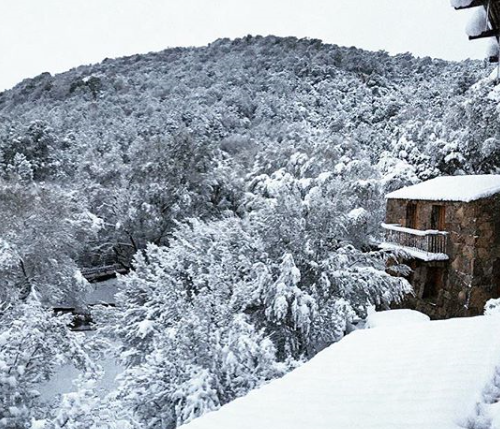 Around the 24th and 25th of December a very special atmosphere comes to invade the Corsican villages. Families gather there and meet elders, share secret family recipe and recollect children’s memories and anecdotes. That’s not just Sant that will spoil you this year, Les Oliviers too! For the Holidays and to celebrate the arrival of our brand new Suite with private swimming pool, we offer you the opportunity to add an exceptional gift under the Christmas tree ! You now have 25 days to try to win 4 dream days to share with your loved one end of may 2019 ! 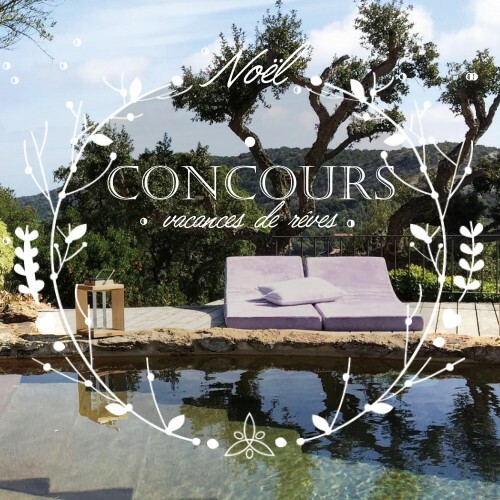 To participate go to @lesoliviers.corsica – winner announced on December 25th ! Good luck to you all, may the Christmas spirit be with you ! 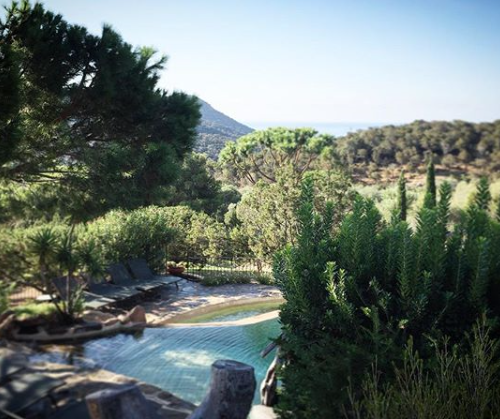 If Corsica is beautiful at all seasons, Fall is a special time on the beauty island. Forest are covered by their amber color, calm settles down, the first chestnut are picked up and shared by the fire, with friends or family, here autumn means conviviality. In autumn, nature and food lover gather around a beautiful table for sweet moments of sharing. Grilled figatellu, Pulenta, Pain des morts, Brocciu, Clementines…so many pleasure from our region and our heritage…The Casa di Petra farm, located a few steps away from our houses and sheepfolds celebrates this culinary heritage thank to its beekeeping farm and the autumn honey harvest but also thanks to its goat herd and the production of fresh brocciu, the must have on your table for the Holidays! You are all back home now and we hope that, we have been this year again able to satisfy you and offer a peaceful atmosphere and sweet happy moment during you stay. Thank you for your trust, fidelity and most of all, thank you for your friendliness. 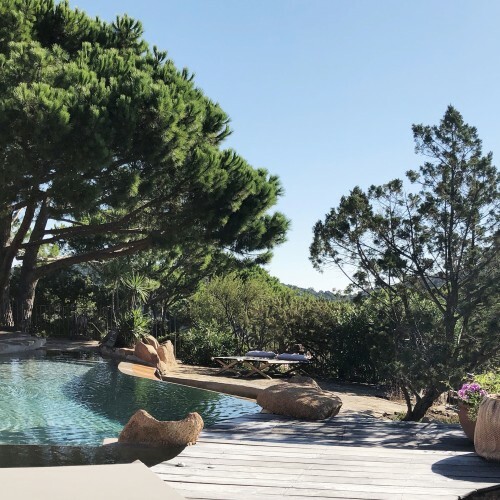 Thank you to the team, at the frontdesk, breakfast, housekeeping, gardeners…to all the people who helped make this year at Les Oliviers de Palombaggia a beautiful success. Keep following us on our social network, we will share our beautiful winter daily life as well as lovely pics from our 2018 guests. See you soon at Les Oliviers ! Treat you taste buds ! The essential of your Corsican holidays, the gastronomy! At the heart of the Corsican lifestyle, the gastronomic & tasty pleasures are not lacking and will delight even your children than your parents. 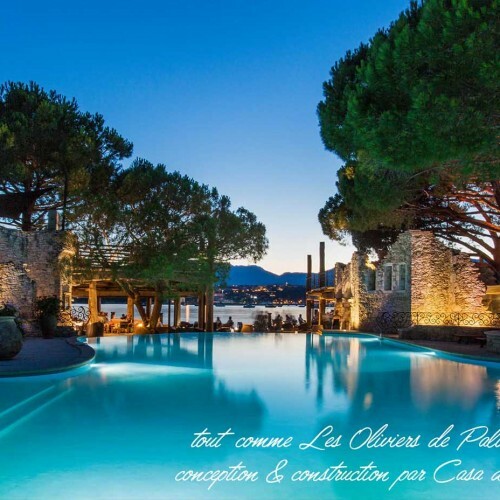 The domaine Les Oliviers de Palombaggia**** is undoubtedly surrounded by the most beautiful tables of the region. Gastronomic, family friendly, traditional or innovative, it’s hard to chose! It is with pleasure that our team will help you chose the best table and book for you, you will only have sit and enjoy! Just a few minutes from your villa, the Grill of the Belvedere welcomes you in an idyllic place and offers you a menu with local flavors, as for its gastronomic table it will seduce the finest gourmets. Direction Palombaggia, the restaurant Costa Marina and its panoramic sea view terrace will be the address for a family dinner. For those who do not want to leave the beach, enjoy a lunch or dinner with feet in the sand in one of the many huts, Cala di Lume, the Playa Baggia, the Tamaricciu, there will be for all tastes. Have you seen it? Intertwined with drapperies, hidden between the trees, in the heights of the domaine, completely out of Time, our wellness area. Give yourself a moment of pure serenity, pure relaxation with the marvelous know-how of our therapists. 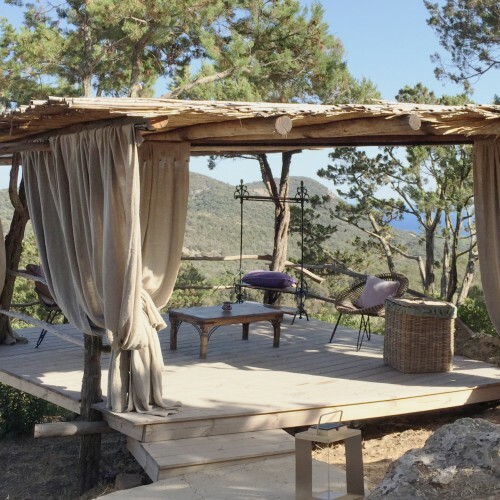 Here, all your senses will be awakened, the pleasure of the eyes thanks to a panoramic view of the Bay of Palombaggia, the Secret Cove of Carataggia, then far behind the blue sea, the rocky reliefs of Sardinia. Feel the delicious scents of the Maquis that surrounds you and embrace you with the essential oils of immortal, precious plant of our Maquis with countless virtues. Enjoy a glass of homemade iced tea, lie down and let you cradle by the breeze playing into the leaves, the song of the cicadas enveloppes you, the Nature offers you its most beautiful melody. Choose a gentle or vigorous massage, relaxing or detoxifying, circulate your energies and relax in the hands of Elodie, Claire or Barbara.